Free lunch on OCLC and a chance to get together to talk with catalogers, E-resources, systems, archives, and more. And it’s here! Together, we will discuss the OCLC services you use, share best practices with colleagues, and invite your ideas and thoughts about how you work with OCLC, what you need and how we can help. 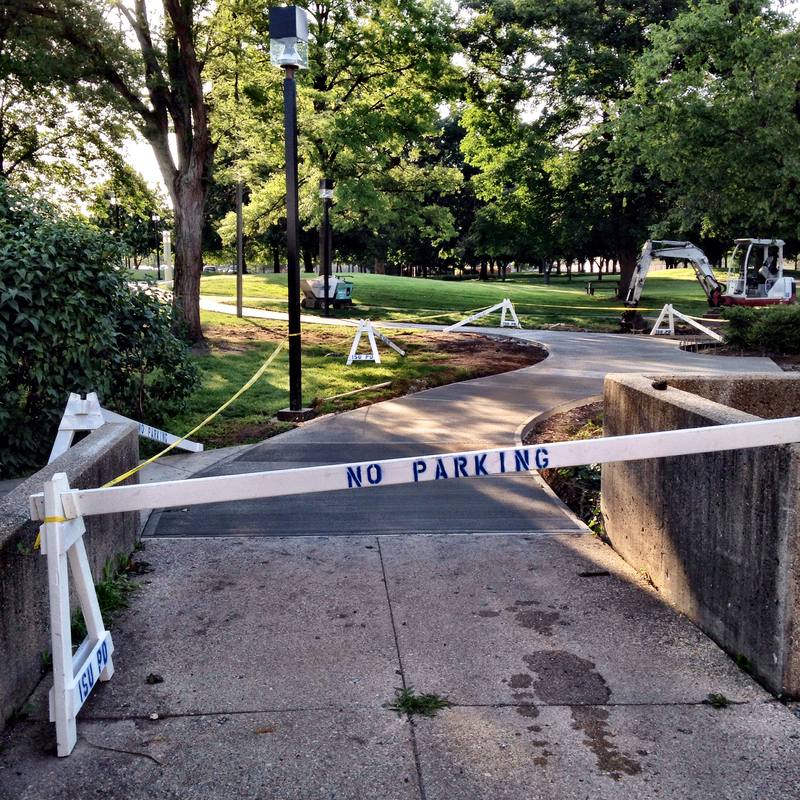 The lawn between the library entrance and 7th Street is criss-crossed with cement and asphalt sidewalks. 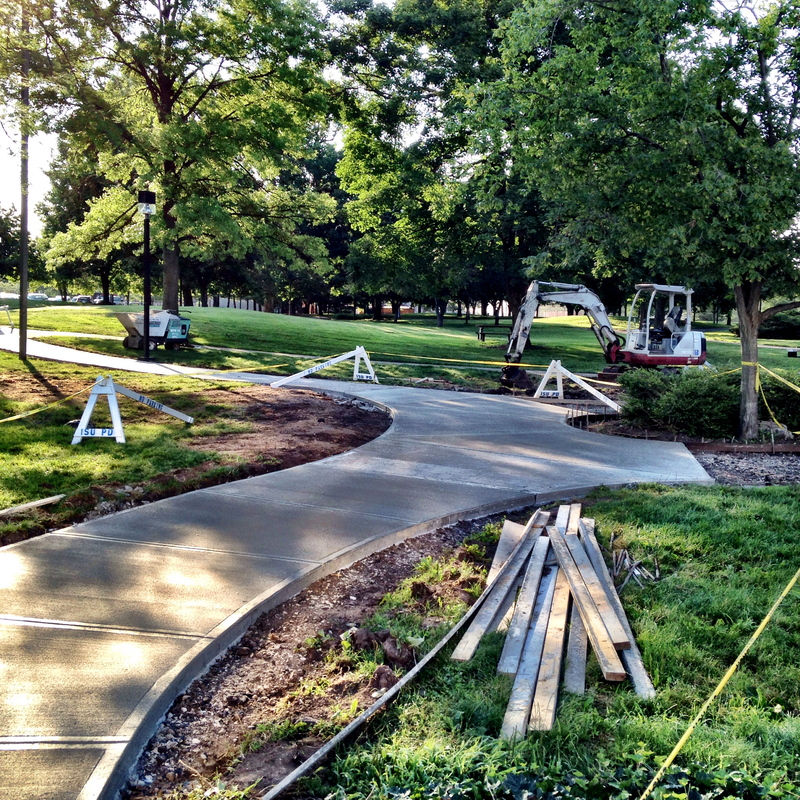 Work has commenced to replace the asphalt with cement and put in new cement. 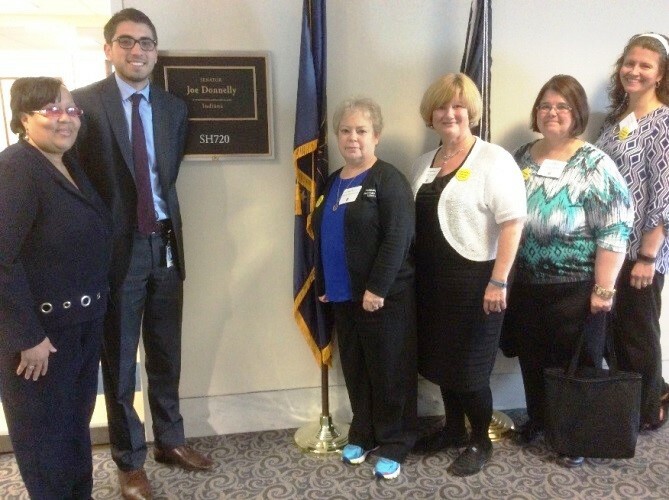 Terri Rheinheimer (Middlebury Public Library Director), Robin Crumrin (Dean of Library Services, Indiana State University), Gigi Shook (Center Grove School Librarian), Lissa Krull (Nappanee Public Library Director) and Kathy Hicks-Brooks (Ben Davis High School Librarian) met with members of Congress from May 4–5, 2015, to discuss key library issues during the American Library Association’s 41st annual National Library Legislative Day in Washington, D.C. The Indiana library advocates joined several hundred librarians and library supporters to support federal funding for our nation’s libraries. Former Senator Byron Dorgan (D-ND) jumpstarted the event by discussing the importance of constituent advocacy at an opening briefing. Additional speakers included ALA President Courtney Young; John Carlo Bertot, co-director of the University of Maryland’s Information Policy & Access Center (iPAC); and Patrice McDermott, director of Openthegovernment.org. 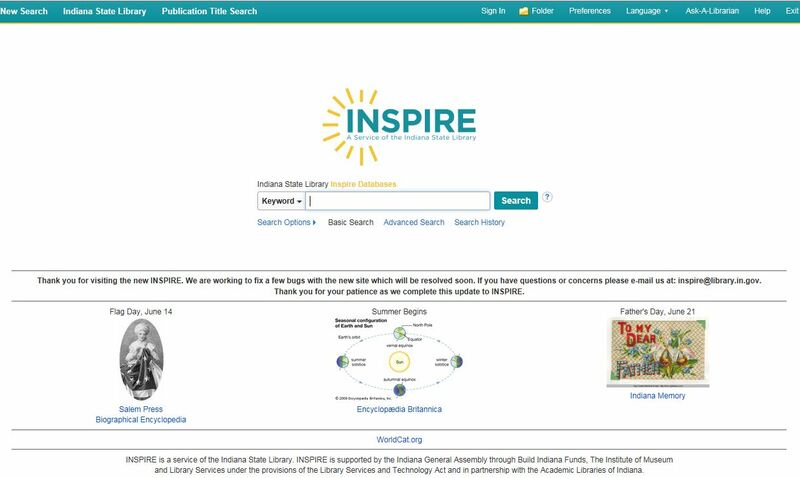 During legislative meetings, supporters discussed the need to level-fund the Library Services and Technology Act, continue funding for the school library initiative Innovative Approaches to Literacy and reauthorize the Elementary and Secondary Education Act. Library supporters who could not attend the Washington meetings connected virtually with legislators via phone calls, emails and social media platforms. 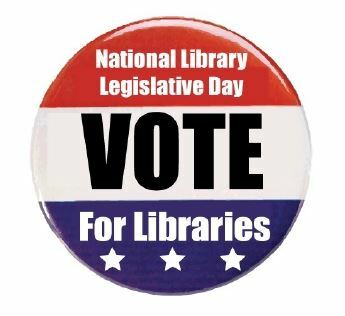 “National Library Legislative Day advocates are true ‘nation builders,’ and we are appreciative of their commitment to supporting the country’s builders, innovators and dreamers,” said Courtney Young, president of the American Library Association. Picture above features, left to right: Kathy Hicks-Brooks (Ben Davis High School Librarian), Devin Benavidez, Sen. Joe Donnelly’s Legislative aide, Terri Rheinheimer (Middlebury Public Library Director), Robin Crumrin (Dean of Library Services, ISU), Gigi Shook (Center Grove School Librarian), Lissa Krull (Nappanee Public Library Director). 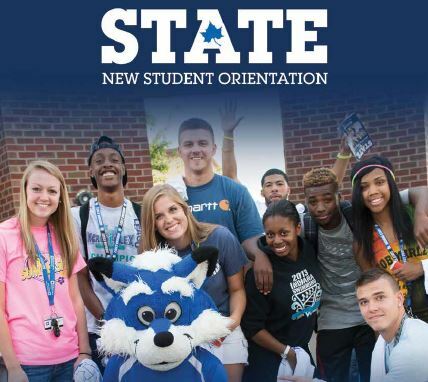 The Library will again play host to several New Student Orientation events during June. In particular, on Day Two, EVERY STUDENT will attend their Academic Advising Appointments in the 1st floor Library Events Area. Also on Day Two, between 8:15 and 12:30 some student groups will meet with the Office of Information Technology in the Library’s Instruction Classroom, Room 230. 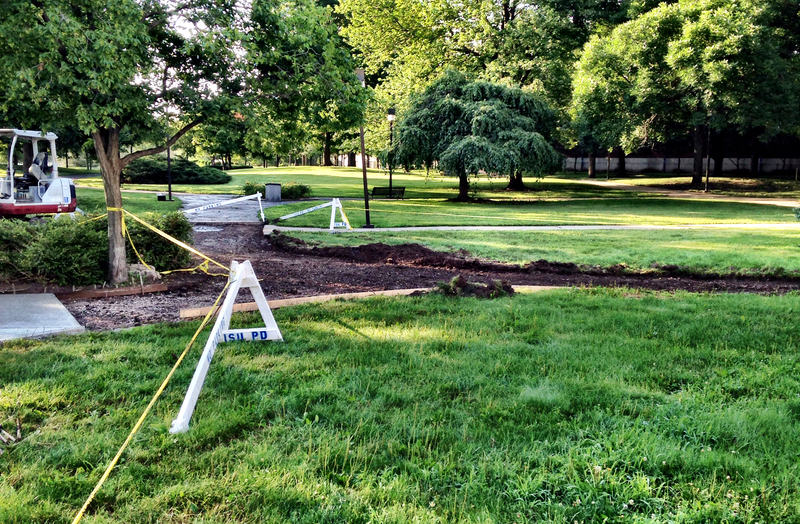 Some may also be spotted during the optional campus tours. Find some starting info about the Library on page 32 of the NSO Resource Guide/Calendar, too. We hope students and their family members will take a chance to check out the Library and maybe chat with some of the friendly and helpful librarians and library staff!